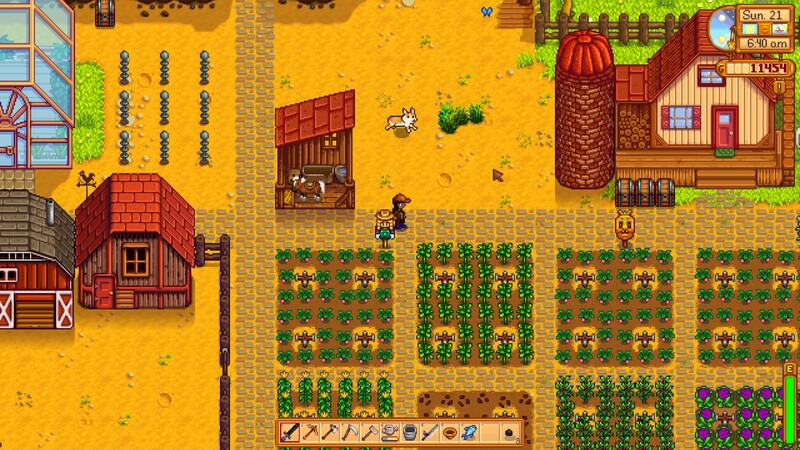 A year has passed in game time since the first time I wrote about Stardew Valley, so I’m now approaching the end of Summer in Year 2. So much has changed in that time. I’ve completed almost all of the bundles in the Community Center; just a few things on the the Bulletin Board and Vault are left to finish. 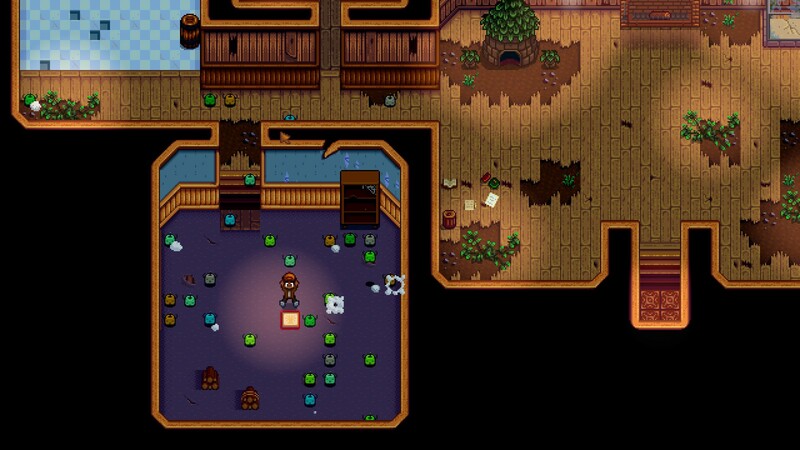 I have the first upgrade to my house and fully-upgraded versions of the barn and coop to compliment my shiny greenhouse. I even took the time to make my fields look prettier. 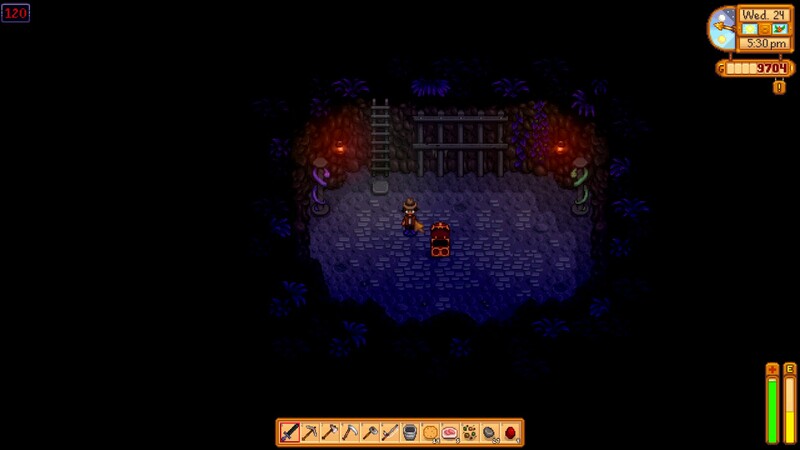 Thanks to not having any fields in the winter, I was able to spend a lot of time in the mine. I gathered enough materials to make all of those sprinklers and finally made it all the way to the last level. Let me tell you, those sprinklers were a godsend. 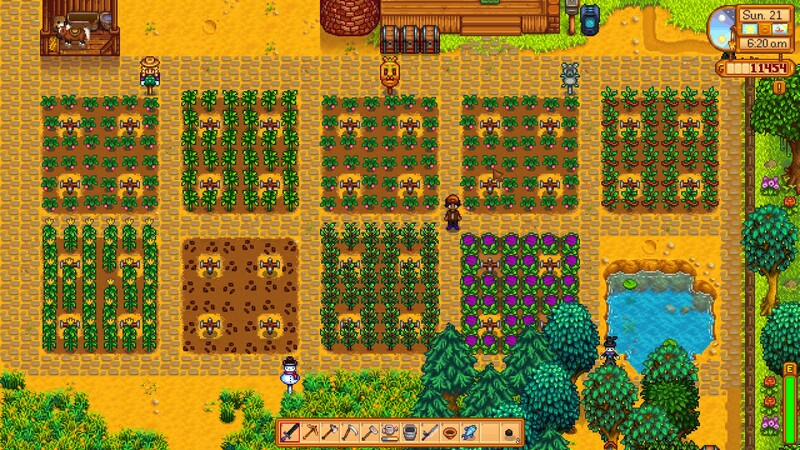 Halfway through Fall Year 1, I was so tired of having to water my fields almost every day, an activity that took up a large chunk of each day. Now all I have to do is plant and harvest. It also means I can plant more fields without much extra work. 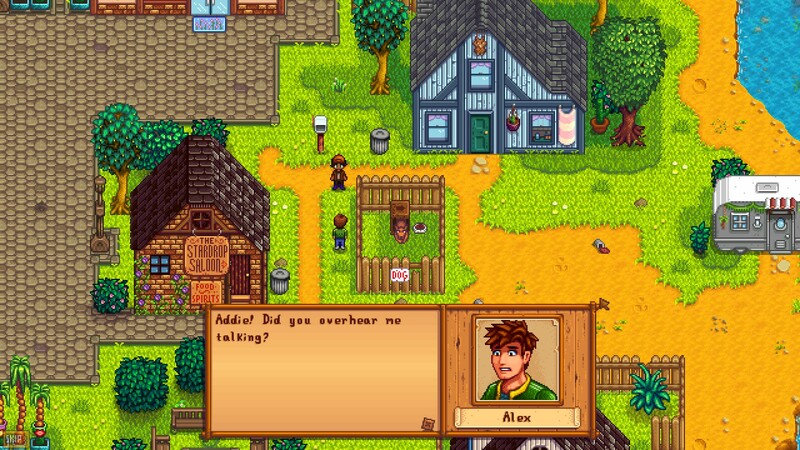 This leaves me with more time and money for other things like fishing and buying gifts for the villagers to increase my friendship. It’s a nice change of pace after what felt like a frantic first year and I like learned about all of these characters and seeing all the cut scenes. Durable Fences – Constantly repairing fences is annoying and I like the look of the wooden ones. Harvest With Scythe – My wrists are saved (at least a little bit)! CJB Show Item Sell Price – Now I know what everything is worth without having to look it up. Did you know there are mods to change the appearance of villagers too? I got this one for Elliott because I like his character but he looked a bit too much like Fabio for my liking. So what’s next on the agenda? 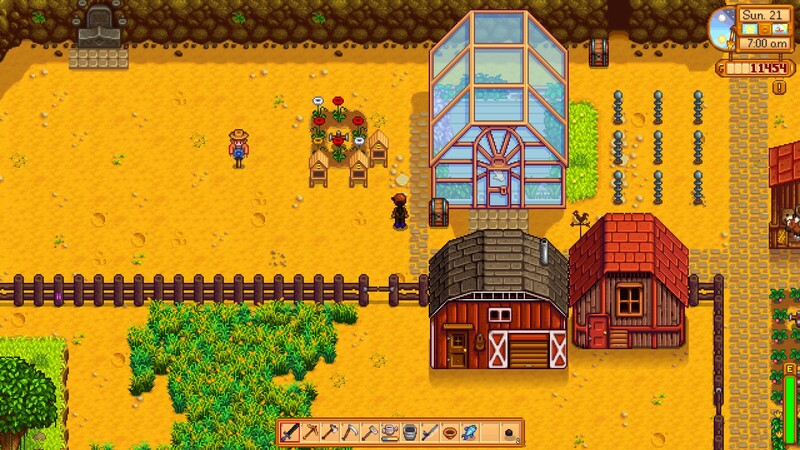 I still have to fill up my greenhouse (being able to plant fruit trees around the edge is so nice), the desert has yet to be explored, the Community Center needs finishing, I’d like to complete all of the achievements (except for the Joja warehouse one), and I want to get to max friendship with everyone. So there won’t be any shortage of things to do for a while. Good thing that it’s all a lot of fun!